Strap in and hold on tight with a Radical driving experience. What do you get when you combine a motorbike engine with a super lightweight frame? The Radical SR3. The SR3 pumps out 420 bhp and is one of the fastest track cars around. One right in a Radical and your heart will be pumping. Available at multiple UK tracks and venues. See below for the full range of Radical driving experiences. What is a Radical Driving Experience? The Radical SR3 is powered by the super powerful Suzuki Hayabussa motorbike engine and generates around 420bhp per tonne. In this lightweight race car it gives inter-stellar performance and an exhilarating ride that is in a different world compared to a normal supercar driving experience. 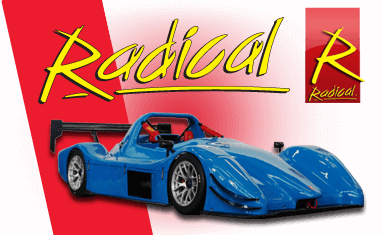 Extreme Radical SR3 Driving Experience. Everything on this racing car has been designed with one, unrelenting goal in mind.......sheer speed! 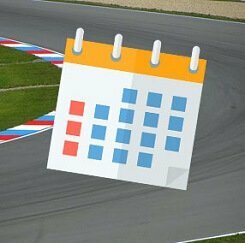 Accelleration, corner speed and braking seem to defy the laws of physics as you fly round the race track.